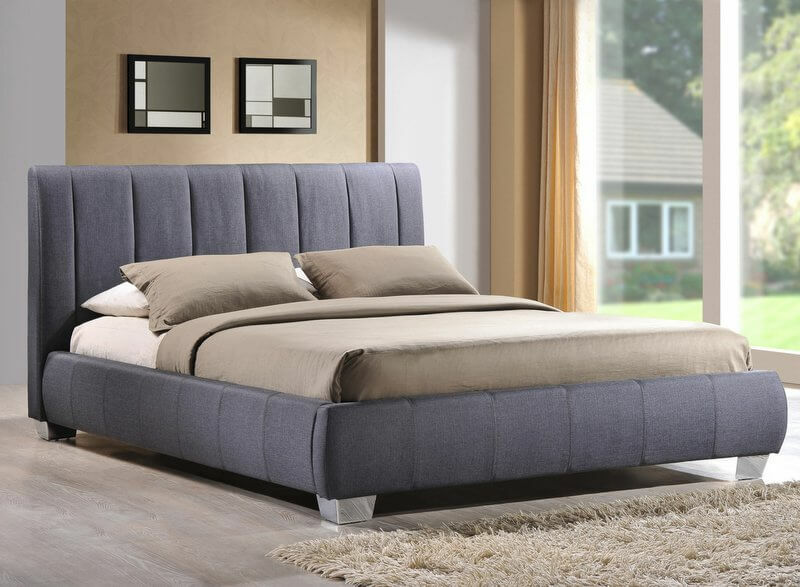 Modern upholstered double bed frame available in fashionable grey or sand fabric beautifully offset by silver effect corner feet. 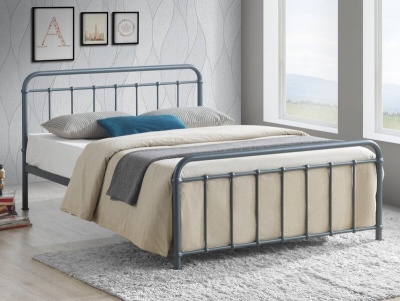 Stitching detailing to the bed frame adds interest to the design. 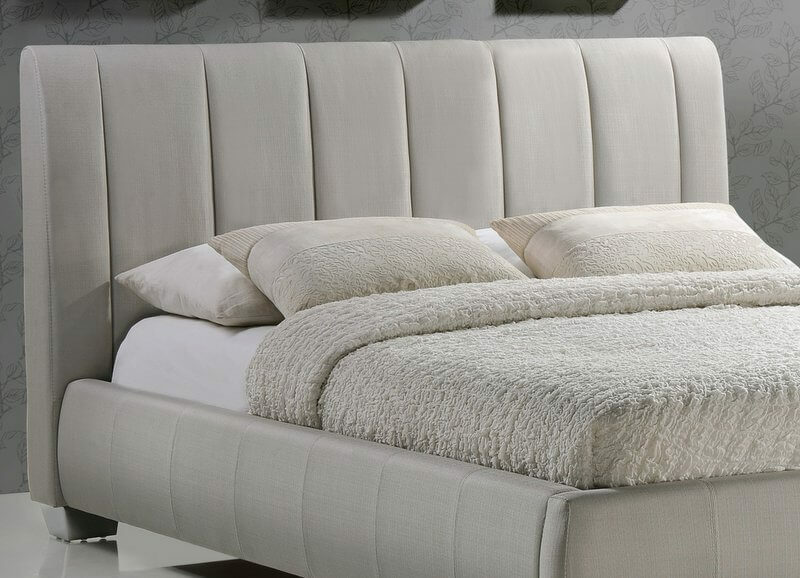 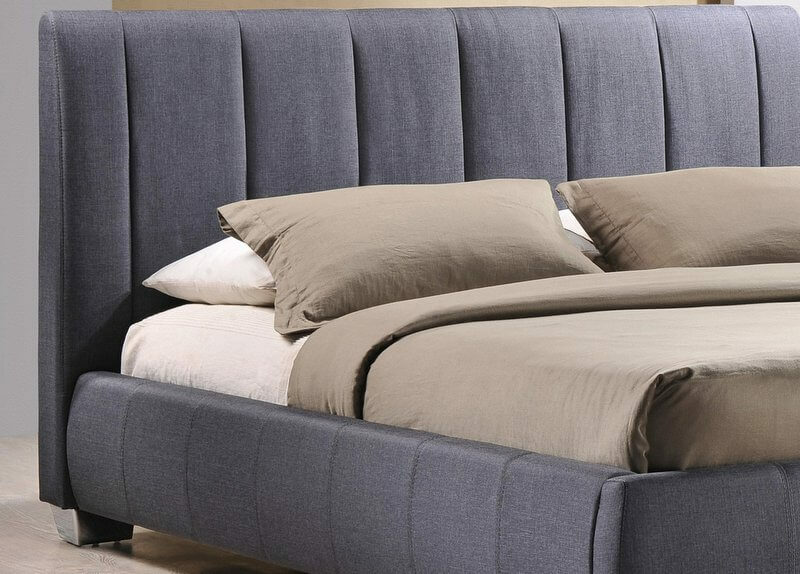 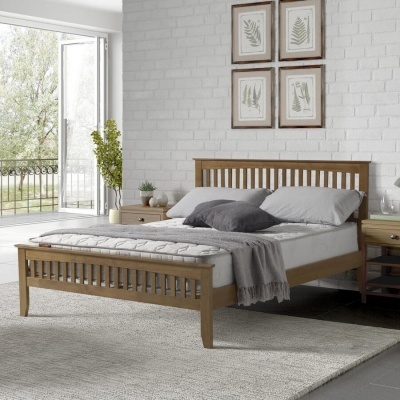 Comfortable padded headboard provides you with a supportive backrest, whilst relaxing in bed.